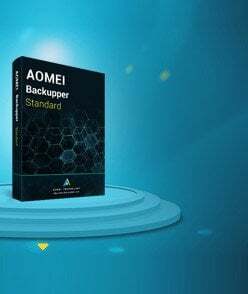 You repeatedly get the message: "AOMEI Backupper has been installed in your computer. Do you want to uninstall it?" 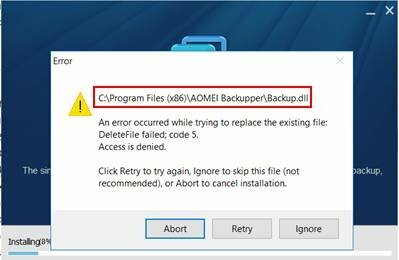 Message 2: When installing the new version, an error occurred while trying to rename a file in the destination directory: Move File Failed: code 183:Cannot create a file when that file already exists. 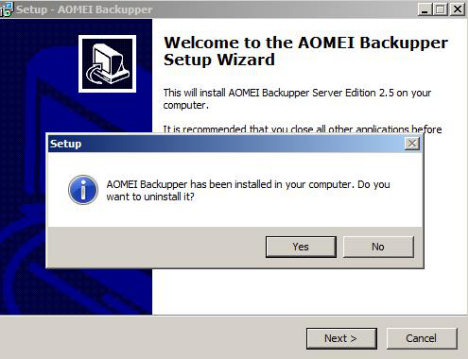 These messages appear are likely that previous version of AOMEI Backupper has not been uninstalled completely when installing new version. 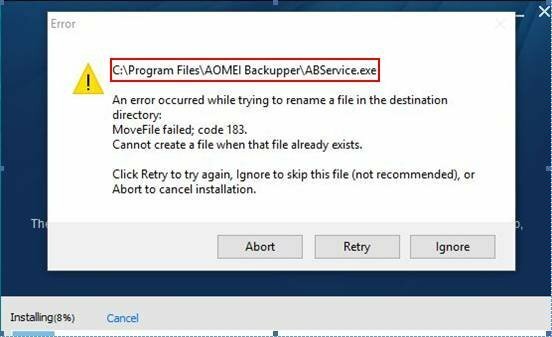 Method 1: for Message 2, please press Win+R to open run box, type into “CMD” to open command prompt window, then switch to the installation directory of the software(cd C:\Program Files (x86)\AOMEI Backupper), then run “ABservice.exe –remove”. After that, please install again. 2. You also need to check and delete something in Registry. Please press Win+R to open run box, then type into "regedit" in the box labeled to "Open" Registry. (2) Locate the following path, and then delete the "amreboot" value. 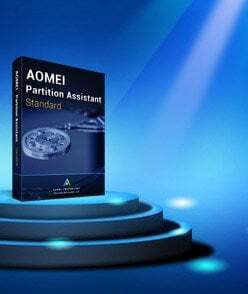 If there are still any problems, please contact our AOMEI Support Team.